As anyone who’s ever played ping pong knows, spin is the holy grail of technique. If you can master spin, you can frustrate your opponents with killer serves, thwart their attempts to do the same, and dazzle onlookers. The thing about spin is that it requires a great deal of finesse. You have to have a tactile sense of exactly how your blade will contact the ball and how much it’ll grip to know what kind of spin you’ll put on it (or take off it). The only way to master spin properly and harness it in your gameplay is to get yourself a high-quality racket. 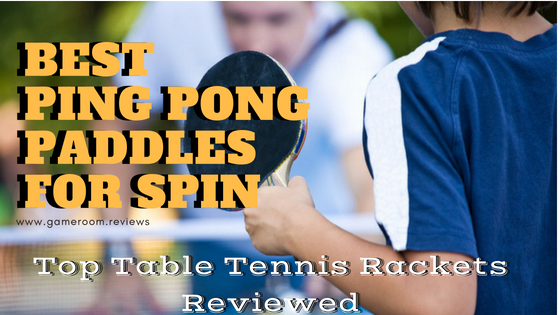 As your ping pong experts, we’ve put together this guide specifically for folks who want to achieve killer spin. You’ll find all our favorites below, along with buying advice to help you choose your new go-to racket! STIGA’s Pro Carbon is a stellar midrange racket for the average player who wants to work on developing their spin game. It’s well under $100 and still manages to offer most folks a lot of room to grow. This is a good choice if you’re just starting to work on your spin. It’s also ideal for intermediate and advanced players who can’t justify a premium Butterfly blade. The best thing about it is the rubber. There are a lot of great bats at this price point, but not many with rubber to match their construction. The STIGA’s rubber isn’t quite premium, but it’s a very decent blend of grippy and fast–perfect for spin! It also has a very nice blend of materials (wood and carbon fiber) to give you a balance of lightness and power for the rest of your moves. Cornilleau’s Nexeo X70 is our favorite all-weather racket by far, and this set is an excellent value for folks who want to be able to play indoors and outdoors. Of course, you usually have to sacrifice a lot of your finesse with weatherproof paddles. That’s why the Cornilleau is so impressive! It plays as well as most indoor blades, while also standing up to rain and sun. The Nexeo has a flared handle with an impressive balance and plenty of grip. We’re also continually impressed by the rubbers on offer here. They hold to the blade extremely well, even after months of play. They’re ideal for spin, too, even if they can’t compete with the Butterfly below. This Butterfly racket is the best we’ve found to date, and its performance in the spin department is one of the key reasons it tops our rankings! 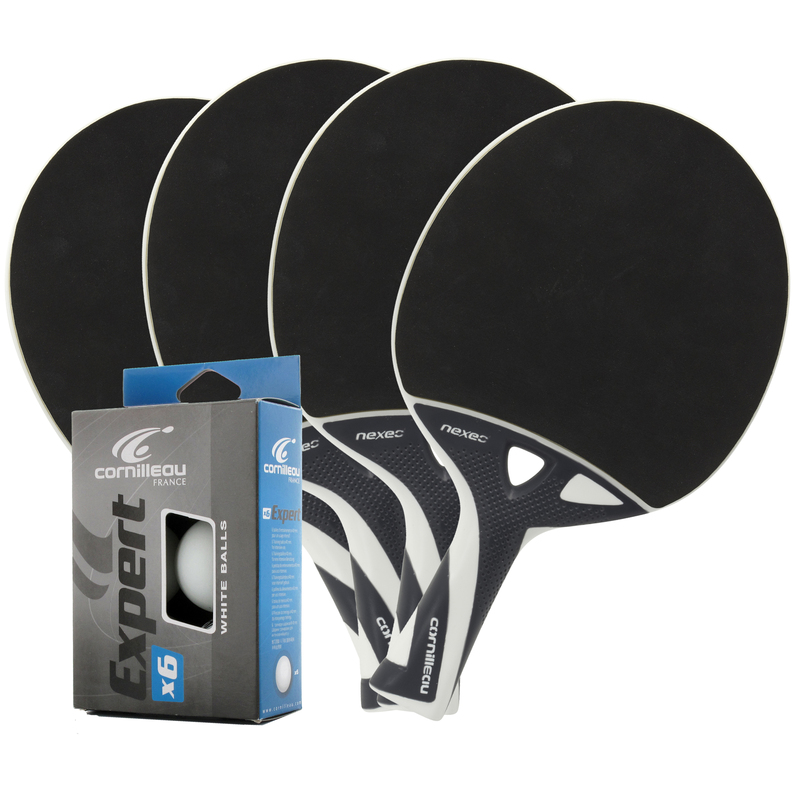 The X5 is very, very close to perfect, and offers ambitious amateurs and pro players all the spin they can handle. What impresses us about the Butterfly is how much speed it combines with its spin. Most paddles this fast are just too hard to control to use with much spin, but the X5 hovers right at the line between stellar and out-of-control. You’ll need to be a skilful player to master it. When you have, it’ll be the best offensive racket you’ve played with! The only real downside of the Butterfly is the steep price tag. It’s very, very expensive. Only passionate, daily players should be spending this much. You should also take us seriously when we say that it’s just for experienced players. These rubbers can be quite frustrating for beginners or even intermediate players trying to learn spin. They’re simply too much to handle unless you’re already quite adept. Which of the table tennis rackets featured here should be your new weapon of choice? The STIGA Pro Carbon is our recommendation to most players. It’s quite affordable, while still offering excellent control and finesse. It’s fast but tactile, and it’s good enough for most amateur competitors. However, the most ambitious players might eventually grow out of this one and want something with even more spin potential. They’ll want to go for the Butterfly. The Cornilleau Nexeo X7 is our recommendation to anyone who wants to be able to serve serious spin on an outdoor table. It’s the only all-weather racket we’ve reviewed that can compete with most indoor competition blades. You can get all sorts of spin out of this one, without having to worry that it’ll fall apart under drizzle. It can’t match up to the pro-grade Butterfly, though. It’s also not ITTF-approved (like all outdoor rackets, as far as we’re aware). 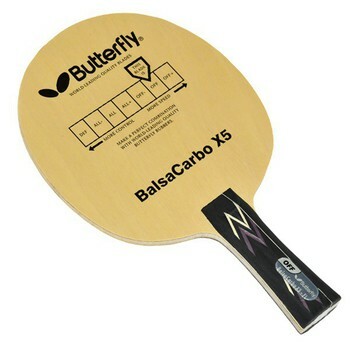 Finally, the Butterfly Balsa Carbo X5 is our recommendation to the most ambitious, competitive players. A racket like this will actually frustrate most beginning and intermediate players, since it offers such a crazy amount of spin potential! To an expert, it’s a dreamboat. You might need a few rounds to get used to the rubber, but it’s an absolute killer once you do. Just be sure you can justify spending this much on a racket! Rubber is probably the most important piece of the puzzle when it comes to spin. High-quality rubber gives you just enough grip for spin without slowing you down. So, don’t skimp! As with any technique, spin requires a lot from you, the player! A racket can’t do everything for you, of course. That’s why you want to find something that’s comfortable in your wrist, with good balance and ergonomics. If you’re constantly having to work against your racket or compensate in awkward ways, you’ll never be a spin wizard. Lastly, don’t forget about speed! Spin is important, but it’s not the only tool in your toolbox. Sometimes, you just want to slam a shot down the table fast–without trying anything fancy. Make sure your new blade is up to the challenge of a put-down shot. It’s not all about power, of course! In fact, some of the most powerful rackets are actually the worst for spin. They’re simply too fast to keep under control, even for those of us who have crazy-good technique. So, be sure to balance the two. Very few rackets can give you the best of both worlds. 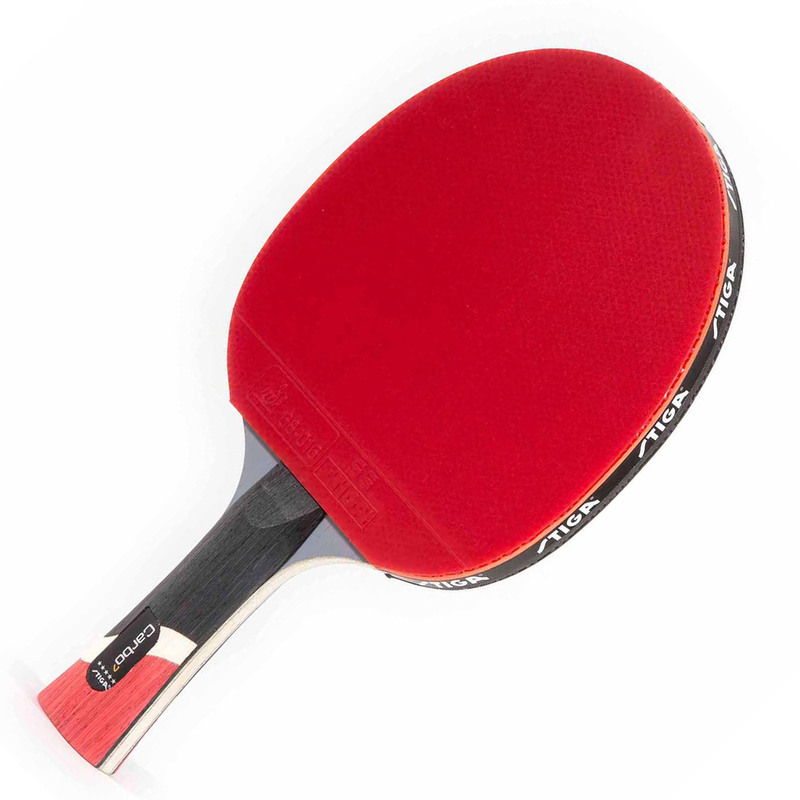 We hope you’ve enjoyed this look at the best ping pong rackets for spin! We always love the chance to dig into the nitty-gritty of gameplay like this. Let us know if you have any more questions, or are curious about a racket we haven’t featured here. You can check current prices and see specs for any of our recommendations by clicking on the links in our reviews. For more of our reviews and recommendations, covering all your gameroom needs, visit our homepage!